Very polite and professional. Great job. Never had a bad experience. Each member that comes in is nice and very personable. Would recommend to other accounts. Great Service and Fair Price! They climbed on top of my hood and cut access holes in the ducwork. Then they hand dug out 2 trashcans of grease. No joke. It was seriously nasty. They worked all night and the next day the kitchen wasn't full of smoke any more. I tipped the crew. A first for me. Thank you for the good review and tipping our people. They greatly appreciate both. It is good to hear that your kitchen is breathing again. That kind of grease buildup is seriously dangerous and must be removed. Kescor gave our church kitchen a good cleaning. They replaced the hood filters and cleaned the hoods, stoves, deep fryers and kitchen ceiling. They did a really good job. There customer service was good. Thank you for the 5-star review. We appreciate the opportunity to work with you and your people. Great company. They provided a free estimate and gave us a very good price.Alexander,the cleaning crew leader was very professiobal and left the kitchen looking great. I highly recommend them! Footprints were left on flat top & kitchen staff observed KESCOR team going through the chemicals on kitchen shelf - when asked why they were touching them KESCOR relayed they wanted to see what chemicals kitchen used. They should have just asked rather than took it upon themselves to look. Seemed odd. 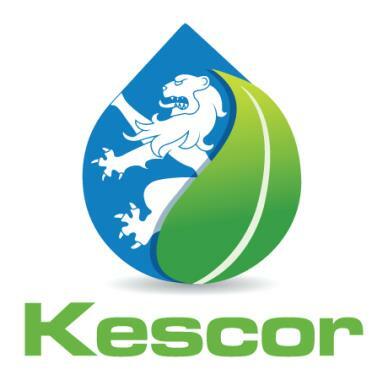 When I want a service report, invoice or job photos I simply log on to www.kescor.com and get them. I Love it! I can schedule future services too.